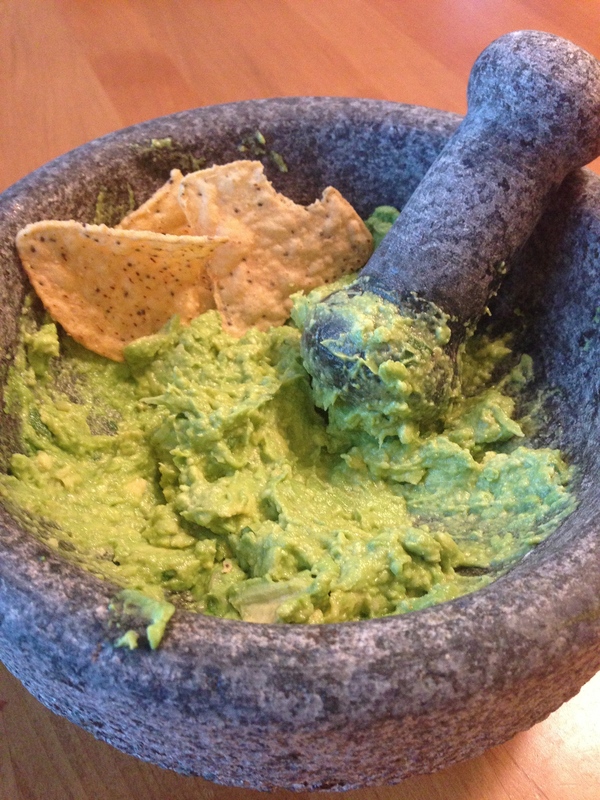 Guacamole is a great summer dish! I’m back in Minnesota for the summer, but summer has yet to arrive in the midwest. Which is why I’m happy to say that, in my book, guac is actually a year-round specialty. I love making this for company because usually even the pickiest of eaters enjoy the guacamole, as do sophisticated foodies. 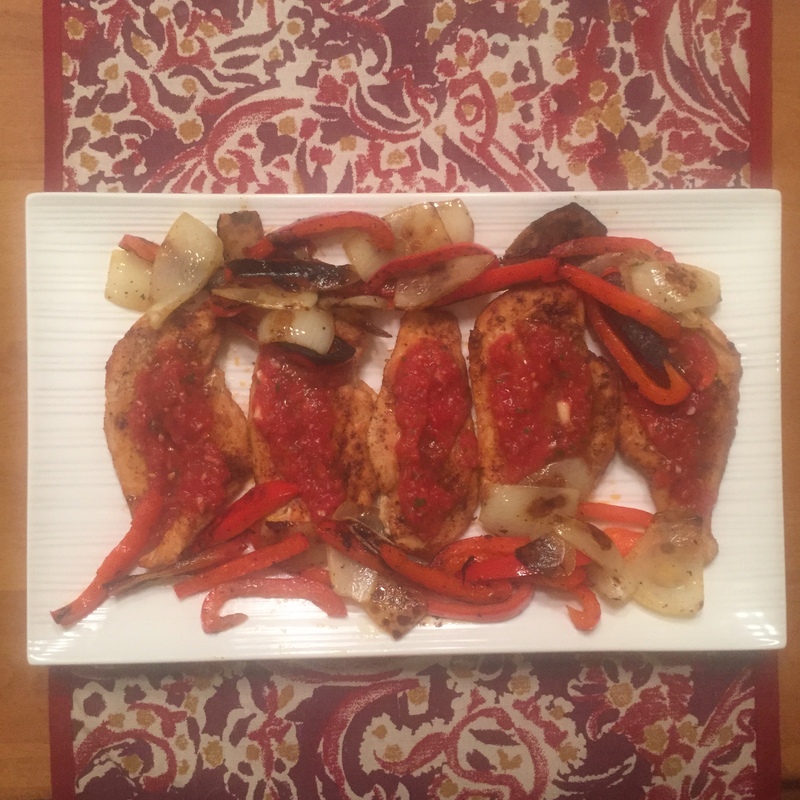 I look forward to devoting more time to cooking this summer, and I have many tasty dishes planned. The next Meatless Monday dish is Cauliflower Crust Pizza. In the meantime, I’ll make many batches of guac, tripling or even quadrupling the recipe (I promise I’ll share when I quadruple it, maybe when I triple it)! Avocados make or break the guacamole, so choose ones that are a bit squishy but still firm to the touch. Then, grab your favorite tortilla chips and enjoy! Combine all ingredients in mortar or bowl. Using pestle or fork, roughly mash the avocados and other ingredients. Taste and adjust seasoning. Dip chips in guacamole. 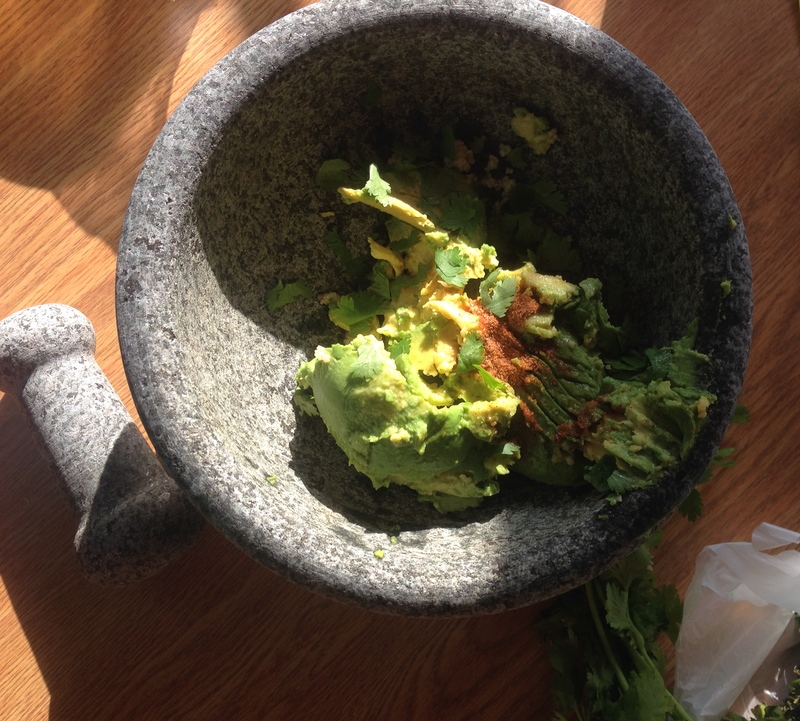 Note: I find that using a mortar and pestle makes the guacamole more creamy, but if you like chunkier guac, stick with a bowl and fork.